The Rolls-Royce Cullinan was just unveiled last week and it is already making history not just for the Rolls-Royce brand but for the industry as a whole as well. Usually car makers start deliveries of a new model months after the official unveiling takes place but when it comes to the wealthy patrons Rolls-Royce has to deal with, some exceptions have to be made. 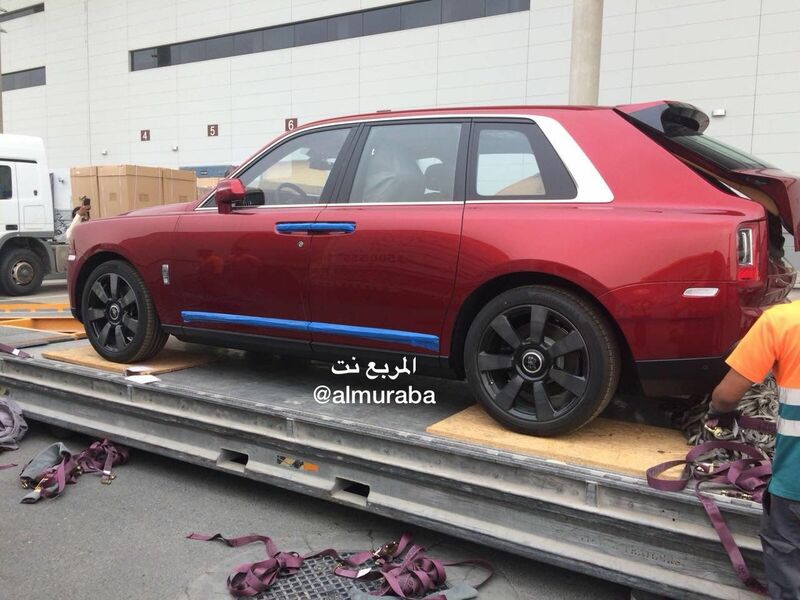 As reported by a Saudi publication, the first Cullinan was already delivered and, of course, it belongs to a wealthy Sheikh. According to the quoted source, the first car was delivered even before the Cullinan was officially shown to the world for the first time and the owner agreed not to post any pictures of it before May 10. The exact price tag of this particular model is also a well-kept secret, but it is said to be around 2.4 million Saudi Riyals, or close to $640,000 at today’s exchange rates. That’s exactly what you’d expect from a car wearing the Rolls-Royce badge, even though pricing starts at $325,000. It is quite remarkable how the secret was kept as the world was in a frenzy to get to see the new SUV ahead of its official unveiling. It’s also worth noting that the SUV he took delivery of is wearing the same paint as the presentation Cullinan, a powerful red, emphasizing the car’s strong, bold appearance. Unfortunately, there are no pictures of the interior available so we can’t see how the Sheikh decided to deck his car. No matter what his choices were though, under the hood hides a familiar 6.75-liter V12 engine, making this one of only two V12-powered SUVs in the world right now. Its huge amounts of torque from down low, specific to V12 engines, will help out whenever the driver or rear-seat occupants will want to cover ‘any’ type of terrain. By the looks of things, this particular Cullinan might see a bit too much of the desert pretty soon.